In romance writing, the general practice is to utilize two POVs: the point of view of the female main character (the heroine) and the point of view of the male main character (the hero). These two separate viewpoints allow the reader to experience the emotions of each character and truly understand the internal conflicts driving actions and decisions. The reader doesn’t need to be “told” how the character feels, because they are connected to the character, living the story through his or her eyes. A change in viewpoint is usually signaled by a scene or chapter break. When segueing from one viewpoint to another within the same scene, a flawless transition must be achieved to avoid the sensation of “headhopping” – the reader should not be bouncing between character viewpoints. Even when the story is written from a third person point of view, the author needs to ensure that whatever is happening to a certain character is being filtered through that character – the sights, sounds, smells, emotions, revelations, etc. Nothing pulls me out of a story faster than a sudden omnipotent narration—i.e., “As Beth turned to leave, she missed the evil smile lifting the corners of Jon’s lips.” If Beth didn’t see it, how do we, the readers who are living through Beth at the moment, know about it? Often in romantic suspense, one more viewpoint is required: that of the “bad guy”. This helps the author reveal the antagonist’s motivations and plans without having to use the clichéd conversation between the captor and the hostage…you know, the one where the bad guy suddenly decides to give his victim a detailed explanation of his motives and actions before actually killing his captive. There happens to be a bad guy in GULL HARBOR, and so I dedicated some chapters to his point of view. It’s actually somewhat unpleasant as an author to get inside the head of a depraved and desperate lowlife, even if the character is only a product of the author’s imagination. And in GULL HARBOR, I had another issue: the ghost. Too many viewpoints can clutter a story, so I solved this problem through the heroine’s skills as a medium. 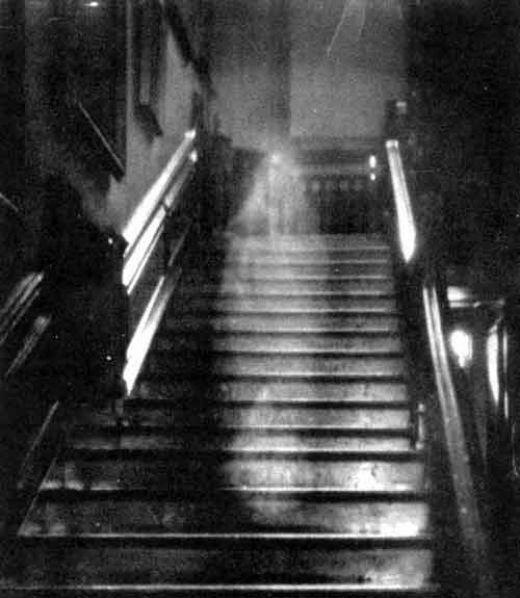 Claire occasionally slips into dreamlike visions, during which she experiences the traumatic events which ultimately led to the ghost’s tragic death. In that way, the reader gets a taste of what the ghost went through, and the suspense is heightened as Claire attempts to interpret these visions and unravel the mystery. 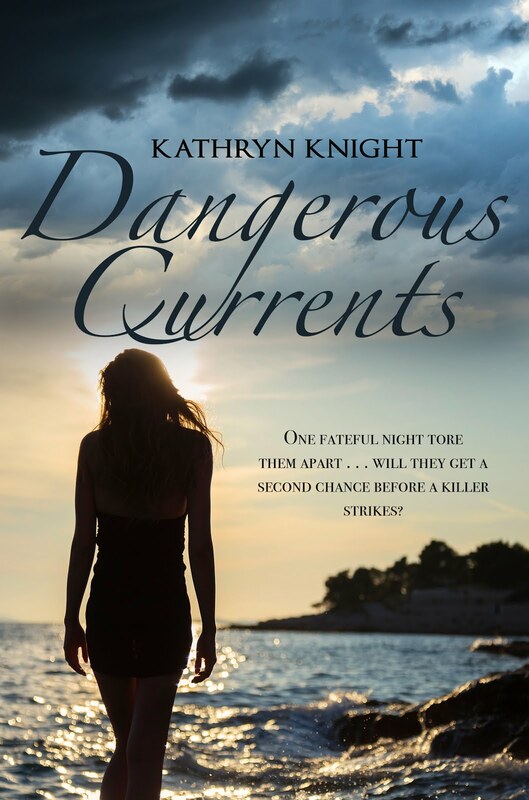 I’m always looking for new challenges, so after writing SILVER LAKE and GULL HARBOR, I decided to explore an idea for a young adult (YA) novel my muse was pushing. I had a complicated paranormal plotline involving the last living Nephilim building in my imagination. But most YA novels are written in a first person POV, which I’d never tried. Basically, every single scene, feeling, and revelation was going to have to be relayed from the experiences of my main character, Jamie. If she doesn’t experience it, the reader can’t either. If I was looking for a challenge, I got it…but I enjoyed my research, which basically consisted of reading YA book after YA book, noting methods other authors used effectively to relay the story without straying from the all-encompassing POV. I discovered a number of really great books along the way. 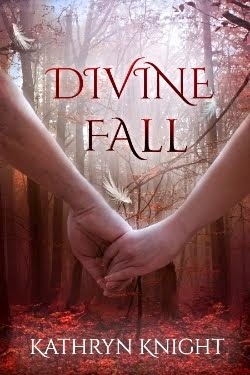 My finished product, DIVINE FALL, is available now, and this title recently won the Reader's Choice Award over at The Romance Reviews! 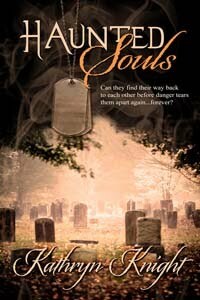 I love when readers and reviewers say “I felt like I was right there” after reading one of my books. That means I’ve done each character’s POV well. Romance is the most popular genre for a reason – people love happy endings. But a happy ending is boring without plenty of tension and conflict. The characters go through a lot as they fight to overcome both internal and external obstacles. When POV is done well, the reader gets to feel each and every emotion along the way. And while some of those emotions may not be pleasant, romance readers know they will be rewarded, in the end, with a happily-ever-after that makes all the trials and tribulations worth it! I've been a fitness instructor for 23 years now--okay, I'm dating myself, but I started young!--and a lot of things have changed about my classes during that time. One thing, though, has remained sacred: stretching, before and after class. Many people don't bother, and that's a shame. There are so many benefits to incorporating stretching into a workout routine. I utilize both dynamic and static stretches in class, the prior during the first 5 minutes, and the latter in the last 5 minutes. Dynamic stretches are also known as "active stretches" and are done while in motion. This is often referred to as the "Warm Up" period, because that's exactly what the movements do: drive blood to the muscles and warm tissue. This increases elasticity and flexibility, leading to greater range of motion during the intense part of the work out. Why does that matter? Two reasons - (1) it reduces the chance of injury; and (2) it increases the effectiveness of your work out. Those benefits far outweigh the "cost" of spending 5 minutes warming up! Cold muscles should never be stretched. Once muscles are warmed up with a bit of light activity (marching, walking, lifting the knees, etc. ), a few stretches will loosen the muscles and prepare them for the upcoming demands of your work out. 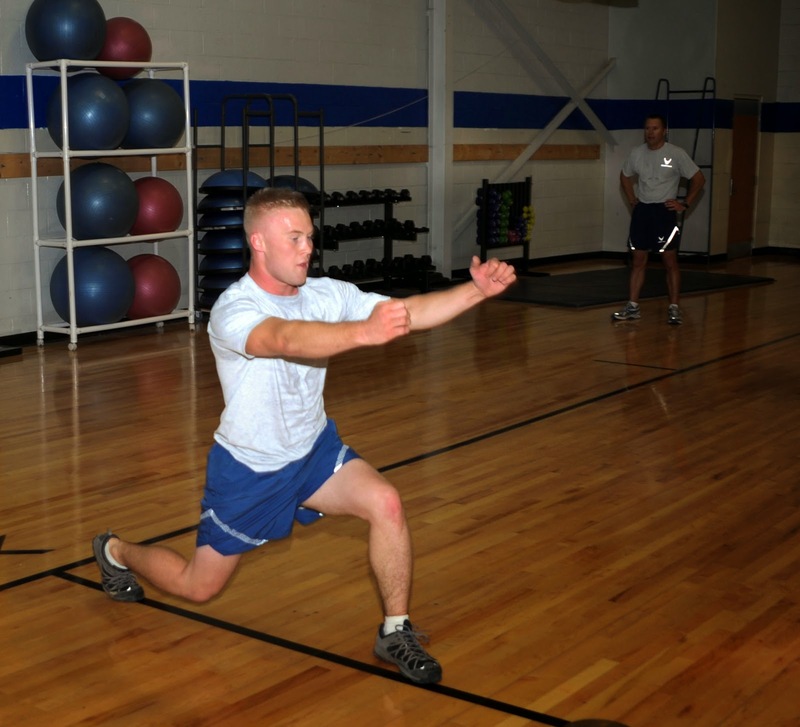 An example would be dynamic lunges: stepping out with one foot, dropping the back knee down toward the floor, then pushing off from the front foot to return to standing. As you alternate legs, make sure your forward step is far enough out to prevent the knee from bending out past the front toes. Another example would be various arm swings to prepare for an upper body work out or a cardio class. The idea is to mimic the motions you'll be doing during your work out. Static, or passive, stretching should be reserved for the end of the work out, or the "Cool Down" period. These are stretches that are held in place, elongating the muscle and releasing tension. 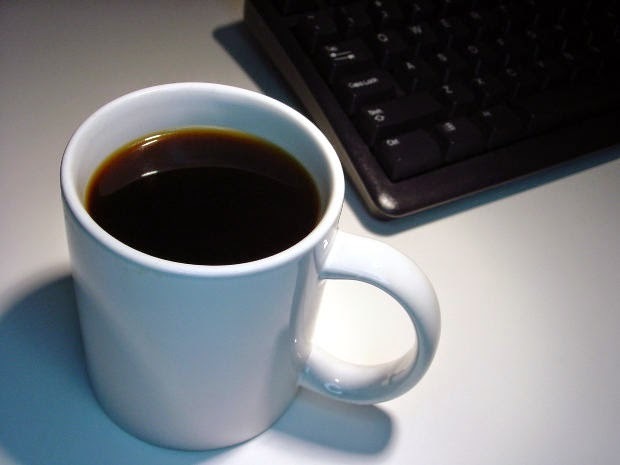 It helps restore proper alignment and prepare for the next work out. Not to mention it's relaxing! 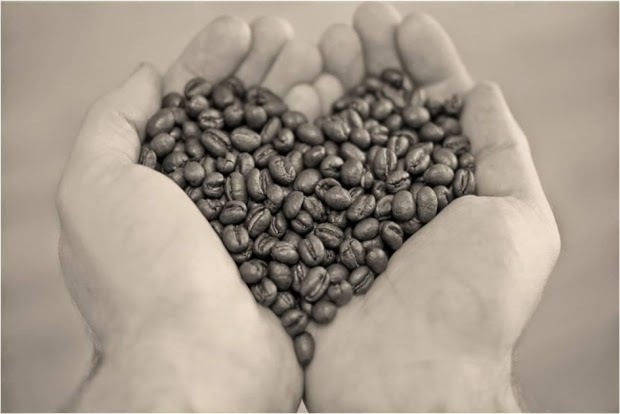 Why not take a few minutes to recharge mentally and reward your body for its hard work? One of the perks of being the instructor is that I get to choose the music. I put on one of my favorite slow songs and lead the class through different stretches. Sometimes I incorporate some yoga moves as well. I always remind the class members to modify any stretch that doesn't work for them...it should all feel good. Bouncing should be avoided, as it could push a muscle beyond the comfortable range of motion. I emphasize the mind/body connection and remind everyone to think about what muscle group they are stretching, and to let it relax if it's still holding tight. Obviously, my classes--and tips--are geared toward people in good health looking to improve their general fitness. People with certain injuries, or elite athletes with specific goals, may have very different instructions. I should also note, in case it isn't painfully obvious, that I am not a doctor. I am a certified personal trainer and group fitness instructor who loves writing romance novels filled with spooky suspense in her spare time. I have Pinterest boards for both my passions, so I'll post the links below if anyone wants to connect over there. Happy Friday! Cover contests are a lot of fun - a chance to actually judge a book by its cover. 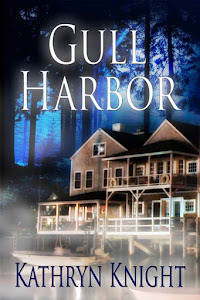 This month, GULL HARBOR is one of the choices over at Lolly Tova's Cover Love Contest. 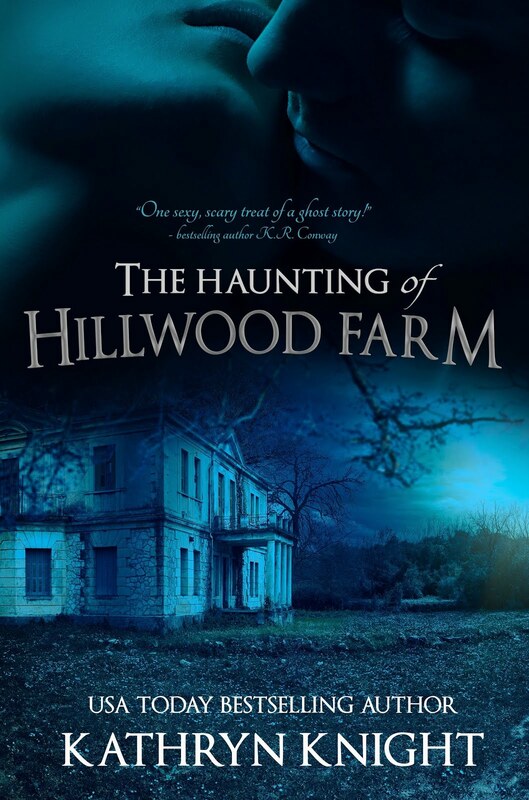 The spectacular artwork by artist Rae Monet really captures the spooky and suspenseful atmosphere of this ghost story/romance set on Cape Cod. All that's needed is a 1-click vote, no sign-ins or emails. 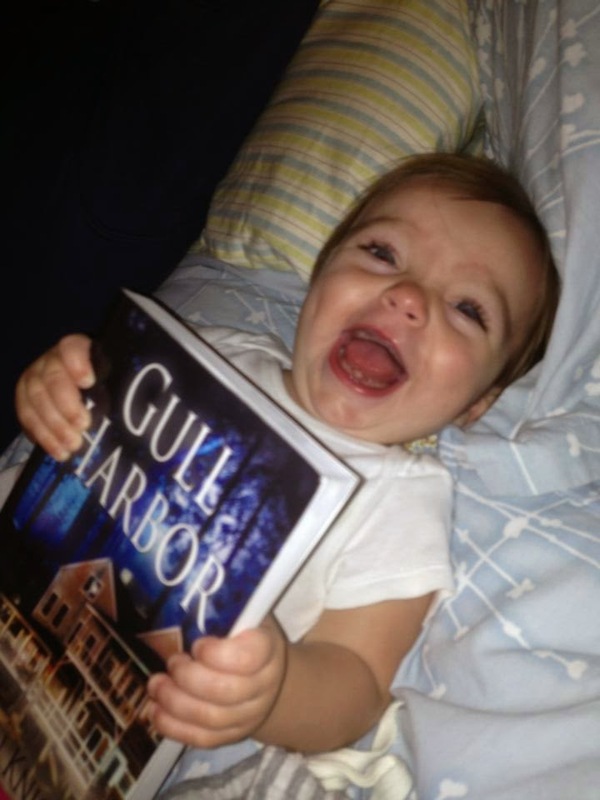 If you can spare a moment to vote for GULL HARBOR, I'd really appreciate it! And if you have a book cover you love, take another minute and enter it into one of the upcoming months. I'm a fan of almost everything paranormal, so I'll be interested to see the new remake of Rosemary's Baby on Sunday night. I never saw the original movie, but I did read the book as well as the sequel, and the promo for the show brought me back to my initial reactions to the first and second Ira Levin novels about the Woodhouse family. Warning - spoilers from the books ahead! 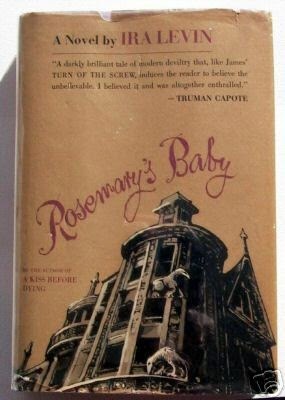 Somehow, the original Rosemary's Baby never made it onto my radar, despite my lifelong reading addiction. I have always loved books dealing with the supernatural (especially ghost stories), and spooky material is fine by me (one of my all-time favorite movies is The Exorcist). Perhaps I never discovered it because it was published before I was born. But a sequel, Son of Rosemary, came out in 1997. I promptly purchased it, along with the original. The first book, Rosemary's Baby, was an absolute page-turner for me. When it was published in 1967, it sold over 4 million copies to become the top bestselling horror movie of the 1960s. Rosemary's Baby is about a couple, Rosemary and Guy Woodhouse, who move into a New York City apartment building called the Bramford, despite dire warnings that suggest the Bramford has a history involving witchcraft and murder. Their new neighbors, Minnie and Roman Castevet, appear overly welcoming, and Guy begins spending a lot of time in their apartment. In no small coincidence, Guy's main rival at work suddenly meets with tragedy, and Guy advances to a lead role in a play. Eventually, Rosemary comes to believe Minnie and Roman are the leaders of a Satanic Cult intent on stealing the baby growing inside her. No one will listen to her wild theories, though--including her husband. In the end, Rosemary discovers Guy is not even the father of her baby--she is carrying the Antichrist, implanted and nurtured by the acts of the coven. I couldn't put this book down, but the sequel, Son of Rosemary, disappointed me--especially the ending. In this novel, Rosemary awakens after spending 26 years in a coma, brought on by the coven when they discovered she planned to remove her baby, Andy, from their influence. In her absence, Andy was raised by Minnie and Roman. He's now 33, which happens to correlate to the age Jesus was said to be when he died. In other biblical connections, Andy has 12 assistants, similar to the disciples, and a girlfriend (making the number of close supporters 13 - see this post for more info on the significance). Andy runs a foundation, which appears to have altruistic goals but is in fact a front for Andy's plan to end the world. The part that really got to me was the very end, when Rosemary "wakes up" back in 1965 to discover the entire saga, including the whole first novel, was only a dream. I truly hate endings like that, and I was furious that Levin had essentially negated the original book. However, there are a few hints that Rosemary's dream could be a warning vision of her future. It is set up in such a way that perhaps we the readers can see she will eventually find herself living out the events of her nightmare. But then, does the cycle repeat? There is one anagram that is constantly repeated in Son of Rosemary: "Roast Mules". Levin has never revealed what the answer to the puzzle is, but he has stated it is a word most 5-year-old children would know. Guesses include "somersault", "soul master", or "almost sure"...a possible allusion to the ending. The original movie starred Mia Farrow, and Levin dedicated the novel Son of Rosemary to the actress. Since I never saw that one, I think I'll try the NBC series just to see what it's like. And if it conflicts with Game of Thrones, well, thank goodness for DVRs, because I need my GoT fix on Sunday nights! 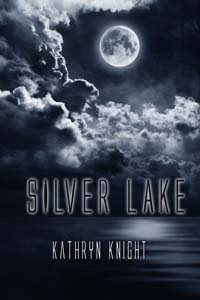 If you enjoy paranormal reads mixed with romance, try SILVER LAKE or GULL HARBOR...both are ghost stories combined with steamy romance, and I promise the ending is not "it was all a dream"! It's Almost #MothersDay - Give a Great #Kindle Read! I just realized this coming Sunday is Mother's Day! What do I want? Books, of course! If you have a mom to buy for who likes to read (or kids who need ideas for you), an ebook is a simple idea to add to your list...and it costs less than most cards. Many people don't realize how easy it is to send an ebook to someone. All you need is their email address, and you're set with a gift that will give a mom hours of entertainment, not to mention an excuse to put up her feet and get lost in a suspenseful story. Both my novels have something for everyone: a spooky haunting, a rekindled romance, a suspenseful mystery, secrets from the past, friendships, and forgiveness. If you wanted to send Gull Harbor - a 19-week Kindle bestseller - for example, to a mom, sister, aunt, friend, etc., all you need to do is click this link: Gull Harbor on Amazon. Then you go over to the right hand side, where within a larger light green box there's a yellow button that reads "Give as a Gift". Click that button, and once you're signed in, the page will provide a box for you to enter the recipient's email address. You may also choose the date she'll receive the book, and you have a larger box below to enter a message. Click "Place Your Order" at the bottom of the page, and you're done! If it turns out the recipient does not have a Kindle device, there are several solutions. Amazon offers Free Kindle Reading Apps for almost any device - I used the one for Windows successfully until I got my first Kindle. Also, Amazon will allow the recipient of the gifted book to "return" it for a gift card instead if they so choose. Finally, if the recipient has a Nook ereader instead, you can easily use the similar Barnes & Noble "Buy as Gift" button option located directly to the right of the orange Buy Now button. Hope this helps with some gift-giving ideas - Happy Reading and Happy Mother's Day!